Easy set up and breakdown, heavy-duty L-shaped connectors and a high-traction diamond tread. Guard floor cords against crushing and abrasion, as well as preventing pedestrian tripping hazards. Protect cords and prevent trips and falls caused by trailing wires. 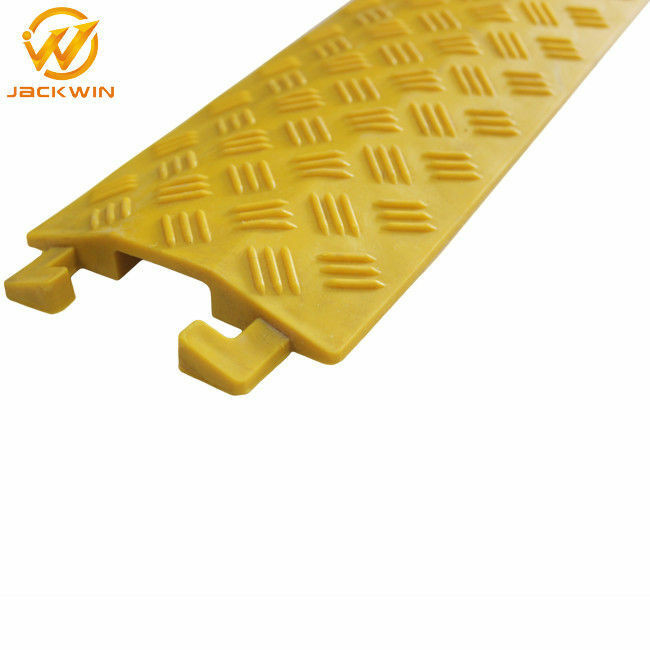 Jackwin® Light-Duty Floor Cable Cover is ideal for use in low foot-traffic areas. Neat tapered design. Abrasion-resistant. Easy to use - flexible material uncoils to lay flat, simply push one or two cords into the bottom. 1. Protects wires, cables up to 1” in diameter. 2. Easy to setup and break down for storage. 4. Heavy duty “L” shaped connectors. 5. High traction surface tread. 7. Great for shopping malls and construction areas with foot traffic. 8. 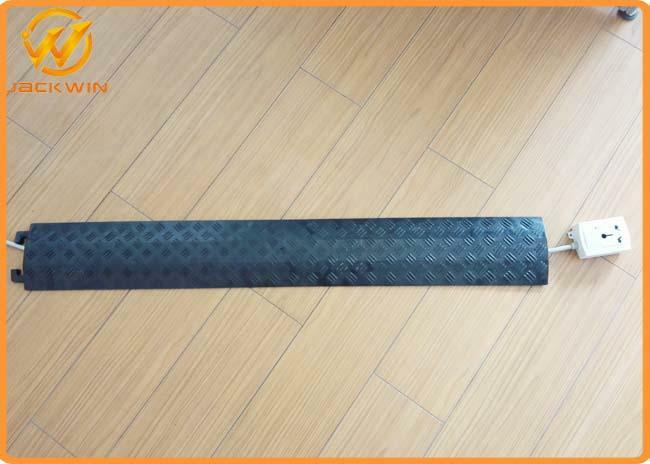 Pedestrian Cable Cover protect garage power cords, telephone lines and cables from vehicle and foot traffic. One Channel System simply drops over the cable and accepts one line up to 40*13mm Diameter. They can be joined together with the L-Connector system to meet your different requirement in length. What's special about this cable cover? 6. Sound and audio rental. 2. Strict Quality Control,we have passed ISO 9001. 4. We are always focusing on new products developing which meets international market. 1. Five years warranty policy. 2. We test all the products 3 times before delivery. 8PCS/woven bag.If you have the special requiement,we will pack it according to yours.